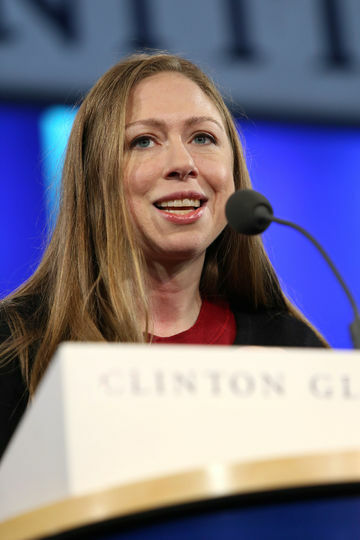 Chelsea Clinton wrote a must-read essay tackling the issues menstruating and breastfeeding women face. If there's one thing we know to be true of breastfeeding, it's this: It's never easy. It can be painful, frustrating and exhausting, and it opens mothers up to shame, backlash and unwarranted sexualization. And breastfeeding is even harder for women who don't have certain privileges. Chelsea Clinton penned a thoughtful essay about problematic societal responses to menstruation and breastfeeding, but we're struck by one point she made: That when it comes to breastfeeding, some women simply have it easier than others—and that this needs to change. Chelsea wrote of her own experience nursing her two children—she was lucky enough to have her own private office in which she could pump, access to a comfortable nursing room at Columbia University (where she teaches), and enough control over her schedule that she could afford to take pumping breaks (not to mention maternity leave, which not all mothers have). She also pointed out that she could purchase breast pumps and disposable pads to soak up any leakage from her breasts when she couldn't nurse. "Many women cannot afford to buy or rent a pump, have inflexible work schedules, have to go back to work after just days or weeks of giving birth, and have no access to even a shred of privacy in which to pump at work," Chelsea wrote in her essay for Well + Good. "All of these challenges, coupled with the cultural stigma around breastfeeding (or pumping) in public, often lead women to choose to feed supplementary formulas or to stop breastfeeding their children altogether—even when they want to continue breastfeeding." Chelsea also made it clear that not every mother has to breastfeed—but if that's what a woman would like to do for her children, well, it's simply unfair that not everyone has access to the sort of provisions that make sustained breastfeeding possible. Women deserve adequate paid maternity leave, places to privately pump breast milk, and most important of all, societal support for their actions. And sadly, not all women have access to these things. There's no doubt about it: There is a clear breastfeeding gap, and it needs to be addressed. Kudos to Chelsea for illuminating this important issue.